Isn’t it easy to run out of time and money before we run out of all the ideas and opportunities we want to pursue? We help people with that challenge. In our effort to get to every opportunity, it’s easy to miss out on some of our best opportunities. Our team’s job is to provide clarity, insight and partnership to help you recognize and seize your best financial opportunities. Wes started the financial consulting firm Wes Young & Associates in 2003 with the purpose of helping people create more than they consume financially. This purpose was rooted in a reality that he had been unconsciously discovering since childhood. 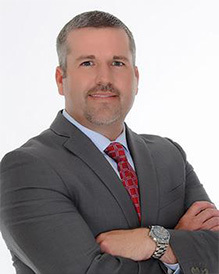 Wes has dedicated his professional life to providing clients and their advisors with the clarity and direction needed to identify and pursue their best financial opportunities. In addition to working with the firm’s private clients, Wes leads the team to optimize resources and focus on opportunities to improve and maintain the integrity of our organization as we continue to grow in our quality and quantity of clients. Wes is an author and speaker, receiving invitations to teach at financial firms and leadership conferences. Wes and his wife Jamie live in Austin, TX with their children Gage and Abby. 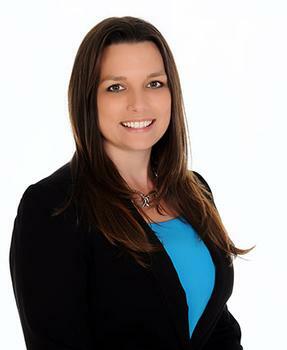 Stephanie began her employment with Wes Young & Associates in 2008 as the Director of Financial Planning. She provides the support necessary for Wes and our team to ensure detailed and accurate assessment of client situations, as well as finding appropriate solutions and opportunities. This includes document and financial statement review, in-depth research and strategy development, as well as support with case design and hypothetical scenarios. Stephanie also coordinates with the internal and external advisors to help accomplish client goals and objectives. Stephanie’s unique industry experience and training equips her to oversee the planning, implementation and maintenance of client plans. Silas serves Business Owners, Executives, Career Professionals, and their families. Through his objective-driven process, he helps clients identify and pursue their best opportunities. He loves answering questions, turning complex issues into simple solutions, and going the extra mile to show how much he cares. Jamie Young is the Financial Controller for Wes Young & Associates. Within this role, Jamie manages Accounting and Human Resources to ensure that everything runs smoothly within the office. It is her strong faith and dedication to her friends and family that provide her with the motivation and drive to work her absolute best each and every day. Jamie’s integrity, organizational skills, and genuine love for her work is what truly sets her apart and makes a difference in every minute of work she puts in. Jamie is happily married to her husband Wes, and together they have two beautiful children, Gage and Abby. Cara provides direct support to the President/CEO in overseeing client relationships and ensures that you receive a superior level of overall client service. Cara is responsible for coordinating functions within the financial planning team from your initial meeting, implementation of your plan, and coordinating your reviews with timeliness and accuracy. As the Director of Operations & Business Development at Wes Young & Associates, Cheryl's job is to ensure the business is running smoothly and that we are providing our clients with a level of service that surpasses their expectations. Her focus is on removing obstacles and building systems to keep the company at peak performance. It’s a fast-paced environment with a culture that’s committed to excellence on all levels, and she enjoys helping the team do, learn and grow. 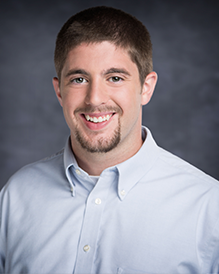 Preston joined our team in 2018 as an Associate Securities Analyst. He is responsible for monitoring economic indicators and market conditions. He also conducts third party audits of our investment committee recommendations and portfolio changes including risk/reward analysis, security valuation and performance tracking.